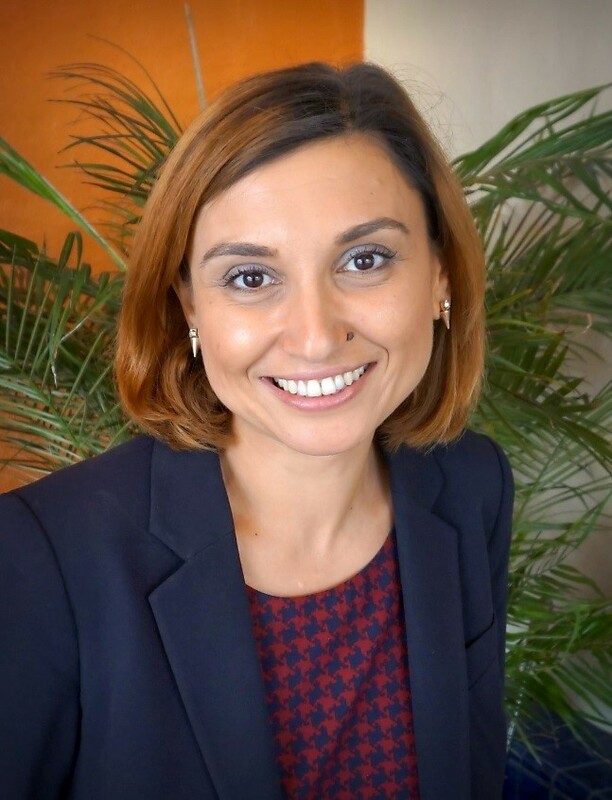 San Diego, Calif., Nov. 15, 2017 – Dr. Ilkay Altintas, Chief Data Scientist of the San Diego Supercomputer Center (SDSC) at UC San Diego, will present Nov. 30 on the topic of “Creating a Data Science Ecosystem for Scientific, Societal and Educational Impact,” as part of the Precision Institute at National University Distinguished Speakers Series. Dr. Altintas will highlight the strides the supercomputing community has made combining data science, scientific visualization, and real-time geographic data to tackle difficult problems in fire prediction, drug discovery, biomedical science, and explain how to apply these techniques to workforce development and education issues. Dr. Ilkay Altintas, Chief Data Scientist of the San Diego Supercomputer Center (SDSC) at UC San Diego, joins the Precision Institute at National University Distinguished Speakers Series Nov. 30, 2017. Dr. Altintas leads the strategic coordination of all computational data science activities at SDSC based at the University of California – San Diego while overseeing application-based solutions and their related technologies. She also heads SDSC’s Cyberinfrastructure Research, Education, and Development division, whose subject areas include bioinformatics, computational chemistry, data integration, geophysics, oceanography, 3D modeling, analysis and statistics, scientific workflows, visualization, and more. Dr. Altintas is also the principal investigator of the acclaimed WIFIRE Firemap project, which is a dynamic data-driven system to predict wildfire progress through data analysis that is relayed through map visualizations. The Firemap is being used by fire departments around the country, including the Los Angeles Fire Department. The work being done by Dr. Altintas and the San Diego Supercomputer Center at UC San Diego aligns with the goals of the Precision Institute at National University, which is exploring innovative approaches to personalized learning through the incorporation of technologies, data analysis and predictive analytics. Predictive analytics in the realm of education aims to increase retention and graduation rates, while better preparing students based on their skill sets and interests to match regional workforce needs. Dr. Altintas’ talk will explore how collaborative approaches to data-driven tools can be applied to many areas such as drug discovery, education and public safety. A key example of that is WIFIRE project and Firemap (https://wifire.ucsd.edu/), which has achieved widespread interest from the public safety sector for its ability to predict the spread of wildfires up to six hours in advance due to its powerful real-time visualization capabilities. Dr. Altintas noted that a growing interest in data science and predictive models across multiple fields is opening up greater opportunities to develop applications and multi-partner collaborations that will deliver societal value in many areas yet to be explored. In fact, SDSC recently received National Science Foundation funds to explore and address big data challenges in the West, and part of that will go toward implementing a workforce development plan by training the next generation of data scientists. Higher education institutions are responding to a demand for more data analytics experts to help organizations and businesses analyze and develop metrics-based strategies. Recognizing this development, National University expanded its own offerings in recent years to include three data analytics master’s degree programs with specialties in health analytics, engineering analytics and business analytics. For more information on the Nov. 30 lecture, and to RSVP: precision@nu.edu. As an Organized Research Unit of the University of California, San Diego, the San Diego Supercomputer Center is considered a leader in advanced computation and all aspects of “Big Data”, which includes data integration and storage, performance modeling, data mining and predictive analytics, software development, and more. SDSC provides resources, services, and expertise to the national research community including academia, industry, and government. SDSC supports hundreds of multidisciplinary programs spanning a wide variety of domains, from astrophysics and bioinformatics to environmental sciences and health IT.